Get two bands with one coax and no tuner. 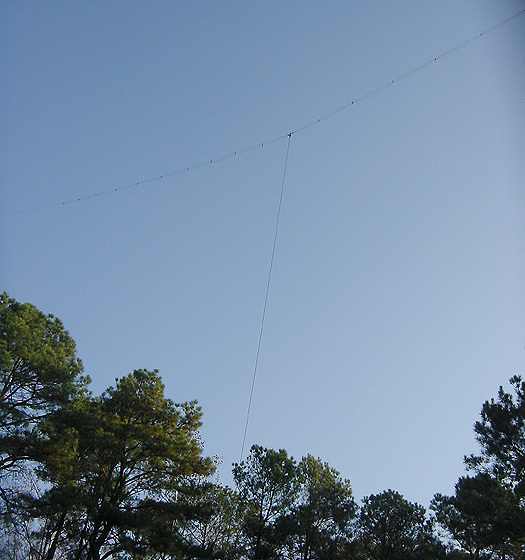 This is a 80/40 meter “fan” dipole I built and installed in 2002. I used it with good success from 2002-2006. 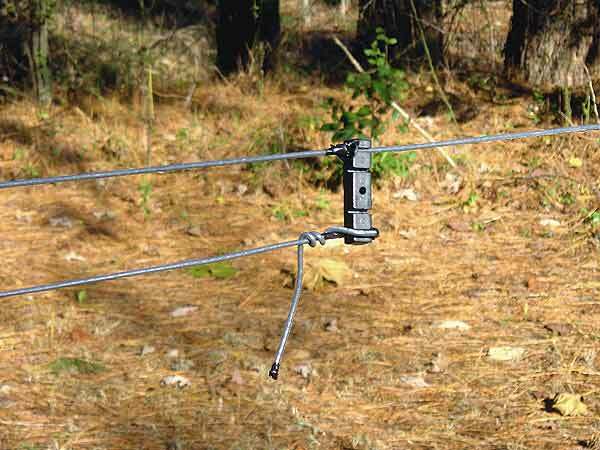 The 40 meter dipole hangs below the 75 meter dipole and is spaced with 2.5 inch black plastic open-wire line spacers (10 per side). Wire is #12 stranded insulated stuff from Lowes. Marine grade pulleys and Dacron rope make for easy up and down. The pulleys are held in the trees by plastic coated steel cable. The center is around 60-65 feet high, the ends 10-15 feet higher. Your mileage may vary depending on height above ground and surrounding objects.